Congress leader and former Chief Minister Amarinder Singh will turn 75 today. Chandigarh: Congress leader and former Chief Minister Amarinder Singh will turn 75 today, the day when the results of Punjab Assembly elections, which witnessed an intense triangular contest, will be declared. It remains to be seen what gift is in store for the state Congress chief tomorrow, who has already announced that this was his last election. If the Congress, which is seeking to return to power in Punjab after a hiatus of 10 years, wins, he would have two reasons to cheer. While the Congress veteran has been spending the last few days at his residence in Chandigarh, his hectic poll campaign schedule was followed by the release of his biography -- The People's Maharaja -- written by Chandigarh-based journalist Khushwant Singh. Earlier this month, Amarinder had also attended the wedding of his grandson, Nirvan Singh, in Delhi. Nirvan, a scion of the erstwhile Patiala royal family, tied the nuptial knot with Mriganka Singh, granddaughter of senior Congress leader Karan Singh, a Rajya Sabha MP and scion of Jammu and Kashmir's princely family. 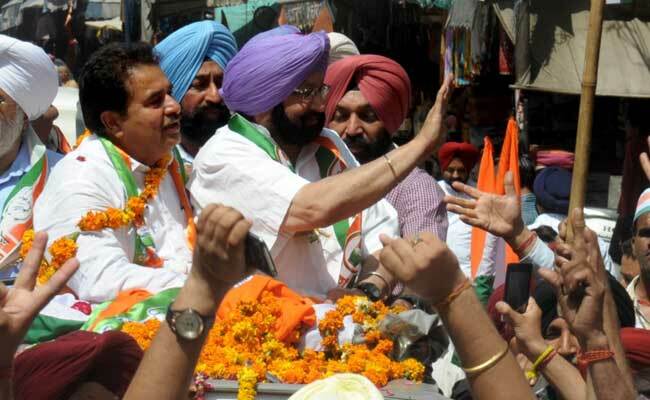 The Punjab Congress chief contested from two seats, his traditional stronghold of Patiala, where he took on former Army Chief Gen. J J Singh (retd) and in Lambi against Chief Minister Prakash Singh Badal.